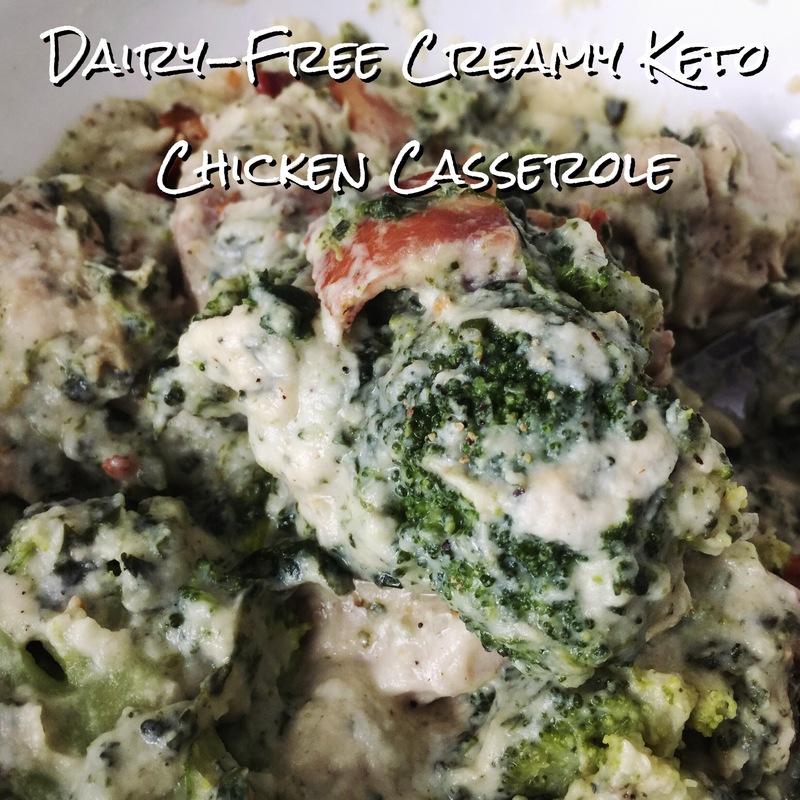 This low carb and dairy-free take on a comforting casserole was creamy, delicious, and lasted great for a weeks’ worth of lunches. Crisp your bacon and drain. Crumble and set aside. Cube your chicken and set aside. Defrost your veggies and set aside. In a large casserole dish, combine the chicken, spinach, broccoli and bacon. Stir to combine. Top with the cauliflower cheese. Bake at 400 for 35 minutes or until the top begins to brown and the sides are bubbly.